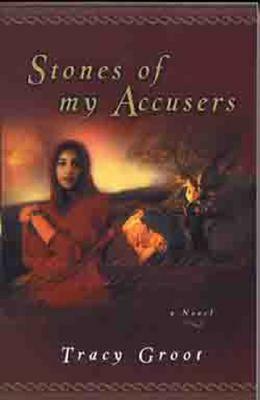 A captivating, stand-alone sequel to The Brother's Keeper, Stones of my Accusers reveals the transforming difference Christ's mercy makes through the lives of several compelling characters. Joab and Jorah are each traveling separately to find a prostitute named Rivkah and inform her of her son, Nathanael's, death. Joab has been commissioned to take Nathanael's words to Rivkah, "Tell her, 'No stones'." Jorah, a sister of Jesus, secretly plans to get revenge on Rivkah. Through the story of the stones and the sacrifice of a Roman official, each character's life is forever impacted by the amazing mercy of God. TRACY GROOT is a part-time writer and co-owner of a popular coffee shop and juice bar. Tracy is author of "The Brother's Keeper, Stones of My Accusers" and "Madman." She, her husband Jack, and their three boys live in Holland, Michigan.